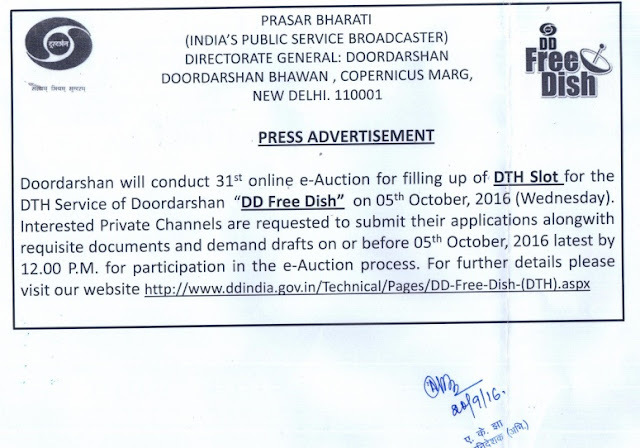 This is good news for DD Freedish (DD Direct Plus) viewers that DD Freedish (DD Direct Plus) again going to held its 31st online e-Auction for filling up of Vacant DTH slot for DD Freedish DTH platform. This e-auction process will be start from 05th October, 2016. Prasar Bharati set reserve price for per DTH slot is Rs.4.30 Crores per annum. 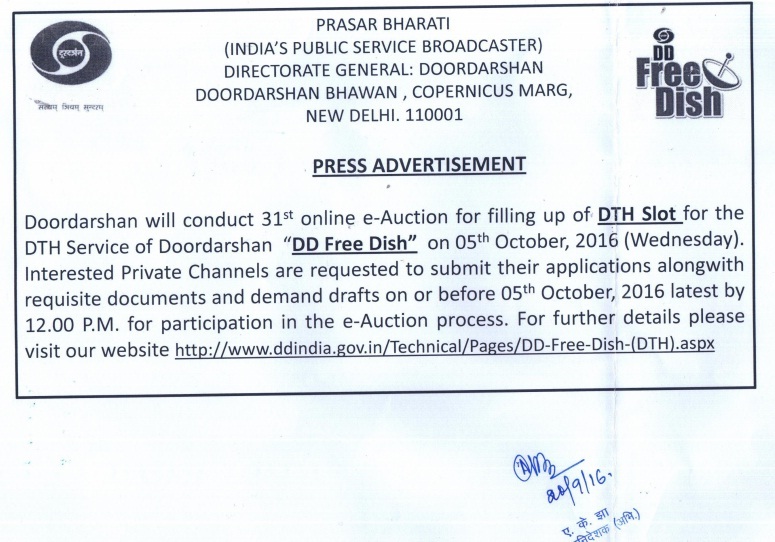 This e-auction process will be completed by M/s C1 India PVT LTD on behalf of Prasar Bharati. All the interested private channels can take part in this e-Auction process along with Application. Here you can see official press advertisements by Prasar Bharati. Here is you can see official notification related to this e-Auction. for more information of DD Freedish (DD Direct plus or DD Direct DTH), keep visit us.